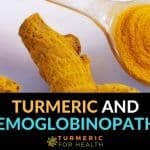 I receive so many emails asking for inputs if turmeric can help in dog arthritis. So today I am going to discuss the same. Starting with why turmeric can be of help and then move on to how much to give and some easy ways to do so. The first section discusses which medications are used today for dog arthritis and how they work. Second, tries to relate arthritis condition and working of medications with how turmeric works using scientific studies and research. I feel this was lacking in most turmeric for dog arthritis articles I have come across. Lastly, some testimonials and how to use turmeric for dogs. Canine arthritis is a condition that occurs in dogs and is characterized by joint pain and inflammation. Years of repeated movement leads to degeneration and injuries in the joint areas. Cartilage (a soft tissue covering bones) is degrade thus exposing bones to inflammation. Bones are reabsorbed from areas where they are needed and produced in places where they are not required and this adds to the pain. Dogs tend to experience stiffness in joints, limping, discomfort in getting up or lying down and they hesitate to perform activities like jumping. Surgery is one line of treatment. Among the non-surgical treatment, there is administration of painkillers, steroids, exercise, weight management etc. And for those who have faith in natural and alternative remedies, we have turmeric. Which drugs are generally recommended for canine arthritis? What is the mechanism of action of the drugs? What are possible side effects of the drugs? How does turmeric help in canine arthritis? Pet stories: What do pet owners and vets have to say about turmeric? Non-steroidal anti-inflammatory drugs (NSAIDs): They are common painkillers. Corticosteroids: They are a group of steroid hormones that reduce inflammation by deactivating the immune system. As far as NSAIDs are concerned research states the vets begin treatment with aspirin and phenylbutazone and then move on to off label human drugs based on treatment response. Carprofen is a commonly prescribed drug for canine osteoarthritis. Other drugs include tramadol, firocoxib, etodolac, mavacoxib, meloxicam etc. Most of these drugs belong to a group called COX inhibitors which we will learn about a little later. In a study conducted to compare the effect of mavacoxib and carprofen reported that 93.4% of mavacoxib treated dogs and 89.1% of carprofen treated dogs showed overall improvement. 90 day treatment of fircoxib was found to be effective in pain management in osteoarthritis. Carprofen and tramadol are said to be effective in treating hip arthritis pain in dogs. Among the steroids, prednisone is a popular drug. Along with prednisone, a number of other drugs are given to suppress immunity and inflammation. 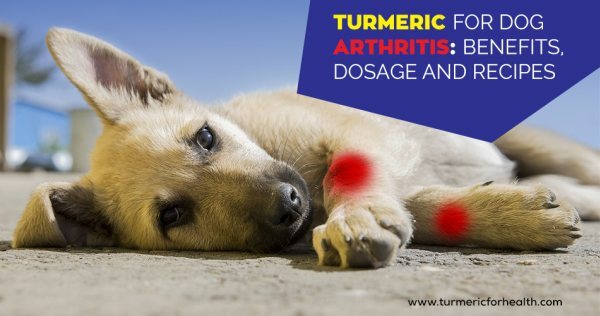 Before getting into how turmeric helps in arthritis in dogs, it is important to understand the mechanism of these medications. So that we can see why turmeric can be used to replace them. Most of the NSAIDs given for treatment of osteoarthritis are COX inhibitors. COX stands for cyclooxygenase enzymes (COX-1, COX-2). These enzymes produce chemicals called prostaglandins which further accelerate inflammation. Inhibition of these enzymes reduces pain and inflammation. Newer NSAIDs specifically inhibit COX-2 and prevent occurrence of gastrointestinal side effects. Most NSAIDs when administered at therapeutic doses have demonstrated inhibition of COX enzymes as their prime mechanism in a number of animals. Matrix metalloproteinases are a group of enzymes that degrade a number of proteins and bioactive molecules one of them being cartilage. Cartilage is a flexible tissue present in the ear and nose and in this case in the joints of the bones. An experimental study demonstrated that carprofen decreased the levels of MMPs in cartilage cells and controlled inflammation. In other words, it prevented degradation of cartilage which occurs in arthritis. Another study proves that carprofen increases the rate at which cartilage is produced and inhibits the activity of pro-inflammatory chemicals called prostaglandins. They reduce immune system’s response to inflammation. They prevent migration of immune cells to the site of injury and inflammation. They inhibit the activity of pro-inflammatory chemicals like prostaglandins and interleukins. A review study evaluating the efficacy and safety of NSAIDs that longer use of these medications yields better treatment response.But the study also reports that data regarding the safety of these medicines is lacking. Gastrointestinal symptoms are the common side effects associated with these drugs. Carprofen causes erosion of the gastric lining of the colon (large intestine). One study reports occurrence of adverse events like diarrhoea, vomiting and loss of appetite with firocoxib treatment. Administration of COX inhibitors with diuretics impairs kidney function in dogs. When administered as a painkiller prior to surgery, carprofen is found to mildly affect kidney function. However some studies state that it does not cause detectable differences. So, this point is still debatable. One experimental study reports that NSAIDs like carprofen, meloxicam, and deracoxib can alter platelet function and thus should not be administered prior to surgery to avoid the risk of bleeding. Turmeric also known as Golden spice and a Miracle Herb native to Asia. It finds its use in cooking and in traditional medicine. It has anti-inflammatory, anti-oxidant, anti-allergic, anti-cancer, anti-microbial and many other pharmacological properties. Curcuminoids are the active components of turmeric that give the spice a golden yellow hue and anti-oxidant properties. Turmeric oil also has fractions of therapeutic agents. Following points suggest the ways in which turmeric could heal and help with your pet’s pain. Most of these studies are directed towards healing arthritis in humans. But that does not change the pharmacological property of turmeric which suggests that it can be used in animals too. A number of studies prove the anti-inflammatory and anti-arthritic effect of turmeric [4,5,6,7]. Turmeric extracts containing higher percentage of curcuminoids are extremely potent in controlling arthritis. However curcumin free extracts of turmeric are also proven to have anti-inflammatory properties. Anti-inflammatory effect of turmeric is proven to better than that of indomethacin (a painkiller) in controlling and preventing spread of rheumatoid arthritis. Curcumin is proven to effectively regulate activities of cyclooxygenase (COX) and lipooxygenase (LOX) enzymes. Regulation of both these enzymes helps in curbing inflammation and preventing spread of many diseases. Curcumin is better than many painkillers as it can selectively inhibit COX-2 or it can inhibit COX/LOX at the same time. A research study proves that curcuminoid’s ability in reducing COX-2 enzyme is equivalent to that of painkiller, diclofenac sodium. As mentioned previously, matrix metalloproteinases are enzymes that support inflammation and degradation of cartilage. 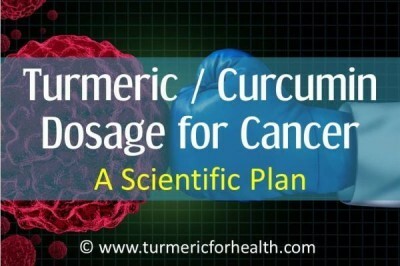 Research proves that turmeric can inhibit MMP activity and protect bone cells. Osteoclasts are the cells that absorb old bones and osteoblasts are responsible for new bone formation. Chrondocytes are developing bone cells. Curcumin is proven to protect chondrocytes from inflammation and damage. Research proves that curcumin supports development of osteoblasts from stem cells (undeveloped cells). An experimental study proves that curcumin can prevent osteoarthritis by reducing inflammation, maintaining osteoblast function and preventing development of osteoclasts. If you have read the above sections, you will understand what we mean when we say that steroids help in arthritis by acting as immunosuppressant. Turmeric also has immunomodulatory action. It modulates immune responses and controls inflammation by reducing production of pro-inflammatory chemicals like Interleukin and Tumor necrosis factor. It also reduces activity of immune cells. Most of these effects are mediated by curcumin, turmeric’s active constituent. However at low doses, curcumin stimulates the immune system and improves antibody responses thereby boosting the body’s ability to fight diseases. Turmeric is a natural anti-microbial agent. It demonstrates anti-fungal, anti-bacterial and anti-viral activity. Aqueous extracts of turmeric are proven to reduce and inhibit growth of E.coli, S.typhi and S.aureus. Research conducted on 35 healthy beagle dogs demonstrated that NSAIDs like carprofen and robenacoxib damage the lining of the large intestine. But administration of herbal remedies with these medications reduced the damage. Speaking of herbs, let’s check whether turmeric can be of help. Demethoxycurcumin obtained from turmeric suppresses inflammation and oxidative damage in the gut. Both bisdemethoxycurcumin and curcumin help in healing gastric ulcers by preventing gastric acid secretion and protecting intestinal lining. Turmeric in conjunction with glucosamine can help in reducing joint pain effectively. A supplement containing glucosamine sulphate and other herbs including turmeric was found to be well tolerated in humans and it significantly reduced joint pain and stiffness. No adverse events regarding use of the duo have been reported. Following research studies have tested turmeric as supplements in treating arthritis in dogs. A study was conducted wherein dogs were given NSAIDs or curcumin as a part of their diet to treat osteoarthritis. Curcumin significantly decreased the expression of genes involved in inflammatory response better than NSAIDs. Curcumin inhibited the activity of immune cells and the production of pro-inflammatory chemicals. Researchers concluded that curcumin can be used as a complimentary therapy in treating osteoarthritis in dogs. A team of scientists associated with the University of Montreal’s Faculty of Veterinary Medicine has developed new herbal supplements for canine osteoarthritis. The first formula contained curcumin, devil’s claw, blackcurrant, Indian frankincense (Salai), willow bark, pineapple bromelain and camomile and this was prepared to reduce inflammation. The second formula contained the same ingredients and dietary supplements such as omega 3, chondroitin sulfate and glutamine. This formula was designed to help in bone remodeling. Two weeks of treatment with these formulas improved paw strength and daily activity of the dogs. The novel herbal supplement was successful in reducing clinical symptoms of osteoarthritis. Here are some real-life stories of how turmeric has helped pet owners in relieving their pet’s pain and discomfort. A dog owner shares a story about their pet dog, Samson who had injured his right hip and had difficulty in walking or getting up. The dog struggled with his pain o the extent that he would old his right leg up. The dog was diagnosed with inflammation and was recommended turmeric. The owner gave the dog ¼ tsp of turmeric with dog food and water every morning and within a few days, the dog stopped holding his leg up. In a few weeks time, he had started running. Still, the dog relapsed and started limping again and was kept on painkillers. Gradually the owner took the dog off meds and started him with turmeric again. The dog recovered again and his gait became normal. The owner concluded that it was turmeric that helped control his pet’s inflammation. By Elizabeth – My Staffy has arthritis in her back legs plus a swollen hock. She was on anti-inflamitory tablets but they did not take the swelling down but she is on tramadol for pain relief. I give her 1 teaspoonful of golden paste twice a day. In the morning she gets it in her sardines. In the evening she gets it mixed into 3 teaspoonful of strawberry yoghurt. I have had no problems with her eating the golden paste. She has been on it now for about 3 weeks and she gets up and walks around more it still slow but more active in her walking and does not sleep her life away as she did before she started taking the paste. Her disposition is a lot more cheerful as she always look depressed before the paste now she is my smiley wee girl again. By Shelly – I hv a 75 kilo senior great dane. He gets a tablespoon of golden paste, which is put in a cup of boiling water and then soaked over his kibble am and pm. His walking is greatly improved and manages the stairs much better. Most dane owners i know use golden paste on their dogs. Many vets across the world are using and recommending turmeric as part of the diet for dogs. 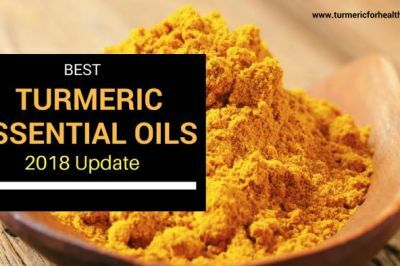 They are also using turmeric for treatment of arthritis in dogs too. They are using turmeric to treat inflammation and pain in allergic conditions, infections, and arthritis and age degeneration. And yes even dogs have benefited from this treatment. Turmeric is also been used to replace or reduce doses of painkillers and steroids. The dosage of turmeric recommended for dogs varies from experts to experts. I was lucky to get in touch with Karen Rosenfeld, a dog behaviourist, and canine wellness adviser. She has been taking care of her own pets (presently 11 dogs and 2 cats) and advising other dog owners for over 3 decades. Karen has experimented with dosage based on type of turmeric (powder, oil, tincture, etc.) and weight of dog and has come up with an elaborate table for the dosage. I am publishing details regarding turmeric powder and pills below. Based on the above table, take the required amount of turmeric powder. 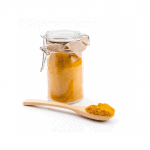 For every tsp of turmeric powder to 5-10ml of coconut, olive or linseed oil and add 6-10 grinds of pepper from pepper grinder to it. Start with lower dosages and gradually reach the max dosage based on the weight of your dog. Dana Scott, Editor-in-Chief of Dogs Naturally Magazine and owner of Labrador Retrievers also recommends turmeric. She firmly supports the use of natural remedies for pets as well as humans. Add ½ cup of turmeric powder and one cup of water to a pan and stir gently over a low flame to form a paste. This can take around 7-10 minutes. Add more water if required. Add 1 ½ teaspoons freshly ground pepper and 70 ml coconut or olive oil. Add turmeric powder to your dog treats while baking them. Ascertain the dose of turmeric to suit your dog’s weight. Use the table above to find out how much you can add and then give to your dog. It is important to start with very small dosage and observe how well your dog is taking it. Stop if you see adverse effects. Some dog owners give dogs turmeric only with black pepper (no oil). Karen Rosenfeld believes coconut oil is a better alternative than black pepper for dogs as according to her black pepper can irritate your dog’s stomach and GI tract. On the other hand, I have observed many dog owners giving black pepper safely. So, please decide yourself will you want turmeric to be given with black pepper or coconut oil or both. If your dog seems to dislike black pepper shift to coconut oil and see if that works. Do not overdose especially for a long time. It is good to keep a decent dose. It helps to give turmeric as part of diet along with fats and pepper rather than just as a paste. Many dogs would not like plain turmeric but will happily eat treats or other foods with turmeric. 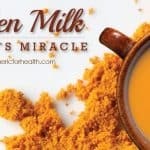 Before starting this article, I was really skeptic whether I would find enough scientific evidence to prove if turmeric could be helpful for dogs. The results amazed me! Also, real life experiences of pet owners strengthened my belief that turmeric can work miracles for pets just like it does in humans. I hope this article helps relieve your pet’s pain. What do you think? Do share your pet stories related turmeric with us! Would love to hear ..
Turmeric does have anti-platelet activity. It also has anti-inflammatory activity and seems to work well with Non steroidal anti-inflammatory drugs (rimadyl is an NSAID) as far as preclinical studies are concerned. But if the vet has advised against this then we would suggest to follow his advice. 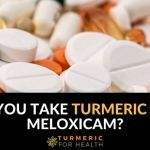 Is it safe to take turmeric and carprofen?? Based on the research we have come across, it is safe to take dietary turmeric with non-steroidal anti-inflammatory drugs like carprofen. Avoid giving the two at the same time; maintain a 3-4 hour gap between the two. 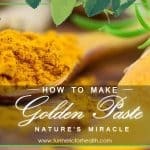 You can give turmeric as Golden Paste mixed with food. Please confirm with the vet as well. What a great article. I will defently consider this giving it to my dog. Thanks! I just started adding turmeric to my 14yr old pomapoo’s food. She suffers with arthritis and I was looking for an organic treatment supplement vs. vet prescribed pain medication. The turmeric has not discouraged her from gobbling her food! 🙂 Thank you so very much for this informative article! Thank you for your feedback, Marianne. Wish you and your pet great health! My 11 year old Lab has a torn ACL and we have him on Novox (Rimadyl) twice a day. Am I able to give turmeric and novox at the same time, 2 hours apart or not at all? Does anyone have any experience with this? TIA! Hi. You can consider keeping a time gap of 2-3 hours between giving turmeric and Novox. Turmeric works along the same lines as Novox to reduce inflammation and pain but without any side effects. It is best to include turmeric in your pet’s diet. Please confirm with a vet as well. I loved reading this artical. I have a 13 yr old 118lbs Blk Lab Mastiff mix… He is my baby and it kills me watching him in so much pain. We live on the top floor in an apartment complex. I ordered Infinity pills from Amazon… The messed up the order and he hasnt had it for 2 weeks almost. So I went and bought the powder goimg ro try this recipe. I use it myself in tea form and I love it. I’m hoping it helps my baby boy. Thank you for the information very helpful. Hi Christa. Thank you for your feedback. We strongly suggest using natural turmeric powder over supplements for your pet. We have got a good amount on feedback about the therapeutic effect of turmeric for arthritis in dogs. Hoping your pet gets well soon. Hi. I have a 14 year old labrador who has athritis. He has been on “metacam” for a long period. The vet also prescribed tramadol. About 12 month ago the vet suggested “yumove” tablets. These are given at meal times along with cod liver oil capsules and a garlic tablet. He is fed twice each day and the olive oil and garlic are give once each day. Because cod liver oil contains omega 3, can we substitute olive oil for cod liver oil (the amount in 1 capsule) to make golden paste. Hi. Many studies do advocate the use of omega 3 and turmeric. However we aren’t really sure if turmeric can be cooked with like in Golden Paste. You can always add the 1 capsule amount to Golden Paste in addition to olive oil and add it to your pet’s diet. Hope this helps. I made my very 1st batch of GPS today using the recipe provides on this page..organic tumeric, coconut oil and black pepper. Will start my 70 lb American bully with 1/4 top for a week to see how she does. She has been diagnosed with a sprained CCL in her left real leg. She does pretty well but does get stiff at night and we do not let her run off leash..just in case. Hoping this helps her!!!!!! Glad to hear that you are trying turmeric for your pet. Do keep us updated. does anyone know if you can use black pepper oil from doterra? I have an 11 year old sheltie who began to have a stiff gait a year ago. I have used Dasuquin with MSM with no success. I switched to SAM e, 200 mg daily, two months ago but I’m not seeing a lot of improvement. I would like to try Turmeric but the recipes for the paste call for 1-1.5 tsp of ground pepper. I made the paste but the pepper was too much for even my stomach. I’m sure it would definitely affect my 20 lb sheltie’s stomach and was afraid to give it to her. You say that adding coconut oil rather than pepper would make the curcumoids more bioavailable but I read that only piperazine will do that. I’m confused. Would you please explain? I’m concerned about the pepper element and my sheltie’s stomach. Thank you for your assistance. PS How much apple cider vinegar should I add daily to my 20 lb sheltie’s food? Hi. Many pet lovers give black pepper to their pets and have not faced any adverse effects. 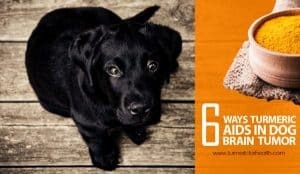 Also the 1-1.5 tsp amount is for the entire batch whereas you would be giving only 1-2 tsp of paste to your pet which would have far lesser quantities of black pepper. Both piperine and oil help in absorption of cucuminoids; so if you do not want to include black pepper, thats fine. You can proceed with oil and turmeric. We have not really come across any data on safety on dosage of ACV in dogs. TFH, thank you for your response. I am still somewhat confused about the dosing. I am using Karen Rosenfeld’s Turmeric Dosage Guideline. Her Guideline says for a 10-20 lb dog, give 1/8 tsp-1/4 tsp of Dry Powder Turmeric, 1-3 times daily. How much Golden Paste, 1-3 times daily, does that translate to? From the GP recipe, I start out with 1.5 cups powder but I’m adding water and oil so the concentration of turmeric in my resultant paste is different than Karen’s recommendations for dry turmeric powder dosage. You recommended 1-2 tsp of GP. Is there another chart I’m missing for GP dosing? Is that 1-2 tsps 1-3 times daily? Also, as I am choosing not to add ground black pepper to my GP, do I add more than 1/4 cup (70 ml) of virgin coconut oil to maximize absorption and compensate for a lack of piperine from pepper? Perhaps I’m being over concerned with this dosing but I certainly don’t want to make my dog sick or hurt her. Thank you for your advice. Hi. Yes perhaps the dosage can get very confusing. Firstly start with a small dose of 1/4 tsp of GP a day for a week. If no side effects are seen increase the dose by 1/4 tsp every week. The ideal dose of GP for your pet would be around 1.5 tsp a day and this is keeping in mind Karen’s recommended dosage of turmeric powder for dogs. So to keep it simple 1 tsp twice a day with meals seems fine. Increasing the dose gradually will help you understand the dose which suits you pet. You can skip black pepper and there is no need to add more oil for compensation. The amount of oil mentioned in the recipe is sufficient for absorption. 1/4 tsp turmeric, 1/4 tsp of coconut oil will be fine, mixed with a bit of warm water. Pepper increases turmeric absorption massively so just a dash or 2 would work but maybe not everyday. The coconut oil or a fat mixed in is absolutely necessary. I would give them both pills of whole turmeric powder and the warmed up version. We mix a weekly smoothie of pumpkin or sweet potatoes, yogurt, blueberries, and walnuts, and either mix in powders with stick blender or just give them pills with it, they swallow all down. Also mix in kelp powder 2 wks on 2wks off for thyroid and maca to balance e.g. cruciferous. This is in addition to the warm turmeric coconut water. Heat activated turmeric repairs DNA damage while the non HT helps with inflammation according to studies. You can buy curcumin capsules (pills). I put one in my dogs food every morning and he eats it like food. So much easier he doesn’t even know it’s there. Turmeric in diet is safer for animals. Avoid giving supplements. I am interested in trying Turmeric with my 12-year old Corgi who has become very arthritic and is on both Tramadol and Rimadyl. However, I don’t quite understand your instructions, and I am wondering if there is a typo in this sentence: For every tsp of turmeric powder to 10-5ml of coconut, olive or linseed oil and add 6-10 grinds of pepper from pepper grinder to it. Can you please clarify how much oil is to be used for every teaspoon of Turmeric powder? I’m hoping that our sweet Genny will have the great results that some others have reported and am eager to get started. Hi Lorin. Thanks for pointing that out. For every tsp of turmeric powder you can take as much as 2 teaspoons oil and 1/8 of black pepper powder. Basically the oil should be enough to get a paste like consistency. Thank you so much. I am excited to try this. What doi do if I gave my dog too much turmeric ? Hi. My GSD Kane has newly diagnosed elbow arthritis. He is currently on: Breakfast: 1 x Onsior, 2 x 50 mg Tramadol, 3 x Yumove joint supplement. Dinner: 1 x 50 mg Tramadol. I’ve been reading up on turmeric for dogs and have purchased capsules ( 500 mg per ) and he is 36 kilos. He is currently on 50% of his maximum dose of Tramadol and does not need more as yet. Do I add the Turmeric capsule and gradually take away one of the Tramadol ? Do I avoid giving the Turmeric with his Onsior ? Or avoid it with his Tramadol ? I’ve purchased Pukka brand – which is designed for “humans with arthritis”. Hi Judi. Firstly we would advise you to use organic turmeric powder over capsules for your pet. This is because turmeric has more than curcumin in it, and pets do not require high concentrations of curcumin for most conditions plus capsules aren’t safe for them. Although we have mentioned them in the dosage, immediately below that we have recommended using turmeric powder only for pets. 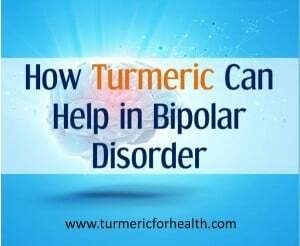 Next turmeric acts in the same way as the medications that have been prescribed to your pet for pain so yes it will definitely help him. But avoid giving turmeric or Golden Paste to him close to the time of taking any other medications. Gradually you will observe a difference in his joint function and health and thereafter you can consult the vet about weaning of the medications. Please consult the vet before stopping any medication for tramadol is an opioid painkiller. Please give him the Golden Paste starting with 1/4 tsp a day preferably mixed with a meal and if you observe no side effects please increase by 1/4 tsp every week till you reach a dose of 1 tsp twice a day. Hope this helps. Thank you very much! For the treatment of canine arthritis, we take so many medications. Turmeric is a good medication for arthritis treatment. Thank you for your feedback. 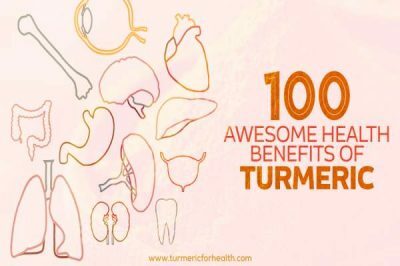 Indeed turmeric is great for treating in animals and humans as well. My four-year-old Great Pyrenees husky mix who is 72 pounds was diagnosed with what is the equivalent to a torn ACL. Can GP help this I feel like we got it basically early. She was prescribed carprofen. Yes you can give Golden Paste. 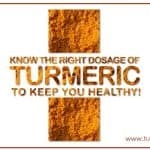 Turmeric in diet can be taken safely with medications. Just avoid giving golden paste close to the time of giving carprofen or any other medication. 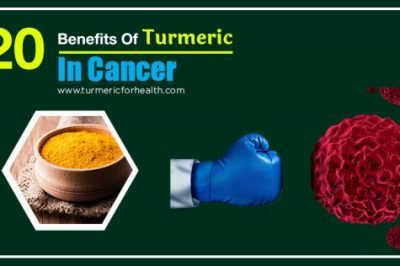 Curcumin found in turmeric acts on the same enzymes as carprofen so gradually turmeric will help reduce the dosage of carprofen by bringing down inflammation and pain. But it is best to consult a vet regarding any change in dose of carprofen. Is it safe to give this paste to a nearly 7 year old, 165lb Mastiff who is currently taking 20mg of Prednisone twice a day, plus 300mg pain capsules of Gabapentin twice a day? I’m not sure my veterinarian would approve, but he knows I am researching other options for pain relief. Thank you. Clarification: Regarding the Gabapentin, I give three 300mg capsules twice per day. Turmeric in diet is absolutely safe for dogs. Turmeric has similar pain relieving actions as both these medications and can be taken along with them. Studies show that turmeric’s active ingredient curcumin potentiates the action of steroids (prednisone). One thing to be kept in mind is avoid giving the paste close to the time of taking medicines since the black pepper in the paste may boost the bioavailability of the meds and that might produce side effects. This is simply amazing. Thank you for sharing this. Do continue the golden paste in your pet’s diet and we hope your pet recovers soon. Does anyone know about adverse interactions between Turmeric and Novolin N.My 12 year Lab/Husky mix is diabetic and takes 2 doses -14 units each of Novolin N. Morning and evening feeding. He is having joint problems and I am reluctantly giving him Tramadol. 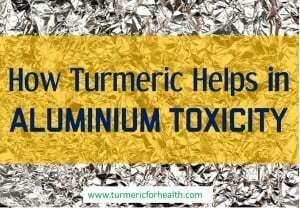 There has been no study investigating the interaction between Novolin and turmeric. Turmeric in diet is safe. It works as a natural anti-diabetic and can also help relieve pain. You can start him on small doses of turmeric paste; the reason to start small is so that both novolin and turmeric should not abnormally lower glucose. Keep a 2-4 hr interval between giving turmeric and novolin. Turmeric should help relieve the joint problem. Hi, what kind of evidence based study was done on DOGS to support these findings? I see there are studies but done on people. Dogs are not “little people”. Please can you provide links to studies proving this evidence in DOGS? Thank you. Also the studies quoted in this article are particularly on enzymes and inflammatory proteins and not people persay. Curcumin and turmeric act by the same mechanism as the drugs that are generally prescribed for dog arthritis. I’ve been giving my dog turmeric for over a year now! What a great find this website was. 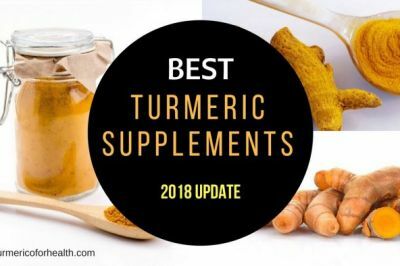 Lots of holistic websites that talk about arthritis treatments for dogs don’t include turmeric on their list when it’s really a potent anti-inflammatory (among so many of its other great properties!) I couple the turmeric supplements with the use of an Ortocanis dog knee brace which together seem to help keep my 12 year arthritic boxer mobile and happy. Lily, thank you for sharing your experience about turmeric. 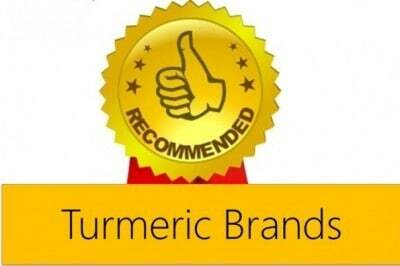 It is great to hear that turmeric has benefited your pet. And yes turmeric should be recommended as a natural anti-inflammatory agent for dogs and other pets. is it safe to give turmeric with cayenne pepper & black seed oil together? Yes turmeric can be safely mixed with other spices. My GSD has been diagnosed with bicipital tenosynovitis (shoulder issue with some calcification) and has been prescribed rheumocam, and leash walks only for 4 weeks …. then see. He also was diagnosed with some hip dysplasia in one hip but is not exhibiting any issues with that. I would like to add Turmeric Paste to his diet but was wondering if it can be given together with this anti-inflammatory, or should I wait until the NSAID is finished? I am also giving him two glucosamine and fish oil pills/day (human grade), and coconut oil. Also can Turmeric be included in his diet on a permanent basis? Thanks for any suggestions or advice! 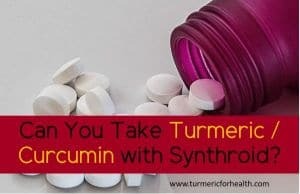 Turmeric works fine with non steroidal anti-inflammatory drugs and yes you can include it in his diet permanently. If you are skeptic about it avoid giving the golden paste close to the time of giving meds. I have been putting 1/4 tsp of turmeric, three grinds of the pepper mill, and 1/2 tsp of coconut oil on my 15 1/2 year old cocker spaniel’s evening meal for the past year, along with 1 glucosamine/chondroitin/MSM made for humans. He gets around with no problems. No one thinks he is 15. I put RO water on the dry dog food, along with 1 capful of apple cider vinegar. Been doing this for over a year. He gets around well, and the ACV keeps the fleas away. Life is good! My 70 lb. 15 yr old Collie/Retriever shows minimum signs of pain, however my vet has prescribed 100 mg of tramadol every 8 hrs and 2000 mg of Glucosamine and I’m afraid it’s too much at this point. His liver enzymes were a tad high as well. Question to you if you don’t mind. Is Glucosamine Sulfate acceptable ( similar to HCL?) Could you recommend any brand names ? Thanks ! just happened upon this site. Please do your pets and yourself a favor and find a holistic vet. 1st thing they will do is STOP THE TRAMADOL. There are so very, very many alternatives that are MUCH safer. You give him one full pill of glucosamine? My two Shih tzu’s weigh approx. 12 PDs each , would I give them each a full pill or maybe 1/2 in the morning and 1/2 at night? I also give my dogs r/o water but I add chlorophyll to their water which they love. Not sure if they’d like the acv. Have you googled golden paste for the accurate measurements given by a vet? They say the turmeric needs to be cooked for it to benefit anyone. Mine get 1/4 tsp of golden paste a day and I thinking I might give it to them 3 times because it leaves the body fairly quickly. Hi. 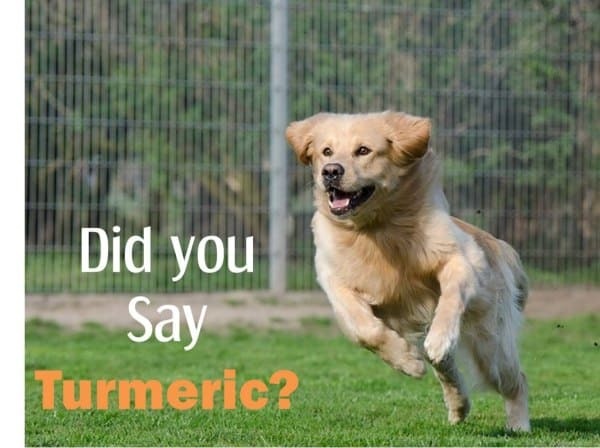 Great to hear that turmeric is benefiting your dog and thank you for sharing this. tumeric paste was my miracle for our pug puppy,who was born as a runt with cleft palate,enlarged heart,beating twice as fast as normal and lordis disease(curvature of the spine).i tube fed him from birth and after many steam sessions for inhalation/chest problems,he started to thrive..at 7 months old,he lost the use of his back legs,and was dragging them behind him,after xrays an tests,our vet confirmed there was no hope for our boy and advised us to pts.i researched into alternative medicine etc,and found the wonderful tumeric user group on fb,run by vet doug english.anyway thought we had nothing to lose and started him on golden paste.within 3 weeks,he was up and supporting his own weight,and within 2 months was running around chasing ou r other pugs as puppies do.hes now 20 months old and is happy and able bodied,even though his gait is not normal.he enjoys life,the cleft palate has even closed to a near normal palate although fluid will still come down his nose,i count my blessings everyday with him,and would recomendywner to give it a try. Thank you for sharing this. It is really nice to hear how turmeric has benefited your pet’s life. I’m not sure that’s true. Some dogs may need high doses of curcumin for a serious autoimmune disorder. I’ve given my dog curcumin 95%, in doses of 50 mg three times a day. I did have to work up to that dose over a period of many weeks, though. I give that type to my dogs regularly with no side effects and it greatly helps with their arthritis. 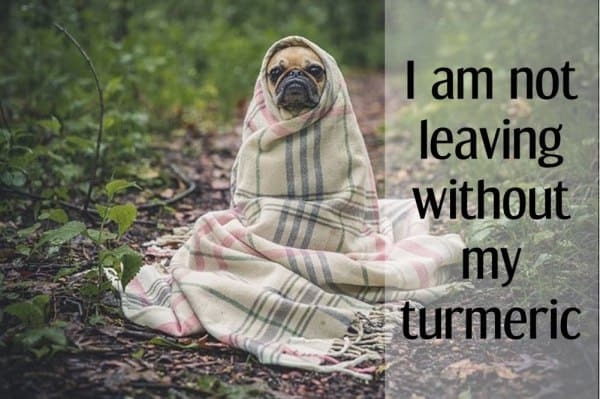 I have been taking turmeric I myself and have now added it to my dogs. Any idea if it works in horses? Yes you can add turmeric to horses’ feed. You can make the Golden Paste and 1 tsp of it to the horse’s feed daily.Add water to mellow down the taste. Increase the dose gradually to 1tsp or even 1 tablespoon 2 a day if it suits your horse. I try to keep off chemical medication and stick to ‘natural’. 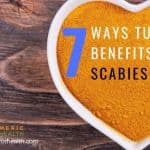 I have not used commercial Wormers and Flee treatments since reading the fearful side effects not only for my dogs but for fish, children etc.> Garlic and Cider Vinegar seems to have worked well for years. Cider vinegar is also hailed as an anti-inflammatory, but my older animals were still beginning to show signs of stiffening limbs. Before reading about Turmeric, I have used Ginger- and Cinnamon powder, blended with the Cider vinegar and Garlic powder in Olive or Coconut Oil- to very good effect and I am wondering whether I can improve on that even further by adding Turmeric and Black Pepper, or am I overdoing a good thing ???? Turmeric can be safely mixed with other spices. You could skip the black pepper if adding ginger and oil. Does anyone have any experience of Turmeric assisting cats with arthritis? Our 15 year old cat has arthritis in her hip and has to take Metacam which we know will have side effects with prolonged usage. I just started dosing my 10 year old Irish Setter with powdered turmeric. He has been on NSAIDs, currently Deramaxx, for about a year and a half now and my goal is to get him off of the drugs completely. The turmeric powder I purchased listed the dose as 440mg per 1/8 tsp and recommended that as the daily dose. From what I’m finding online this is a typical half dose. I started him out with 1/8 tsp twice daily on his food. Do you really need to mix it with oil and pepper? If so, how long does the paste last and how do you store it? Thanks! The pepper aides in the absorption of turmeric. I got this information from Dr. Weil’s site. If you use turmeric in pill form, it will have piperine, the component that gives pepper its zing. .As far as the oil goes, you can take turmeric with a meal that has some fat…the food your dog eats probably has some fat. Some nutrients are better absorbed when taken with fat. The pepper and oil helps to increase absorption of turmeric. So its a must. The paste generally lasts for 5-7 days when refrigerated. Hi, I have only positive comments regarding turmeric. I have a 14 year old Collie girl who started to have serious trouble walking and going up steps. After about 4 weeks of giving her turmeric with her food in the mornings she almost walks normal again and even ran this morning. She also comes up the veranda stairs again with my other 3 dogs which she had stopped doing previously. 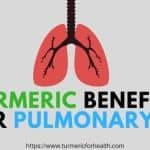 I myself use turmeric in most of my cooking and experienced great benefits with my asthma and sore back. I will now start giving it to my cats as well, as I have just lost one to cancer due to preservatives in pet foods. Only feed now grain and preservative free foods to both, my cats and dogs. Wish I would have researched about turmeric for pets years ago, I might still have my beautiful Burmese. Hello, I would like to ask: must be turmeric power? I used raw turmeric and later blended all and freeze all in small containers. This sound ok? Hi Rebeca, raw turmeric is atleast as good (maybe better) than powder one as several constituents are lost while making the powder. 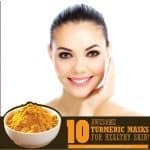 Just that it is difficult to use and store raw turmeric than powdered one. But you still have to take it with fats and black pepper to enable its absoptiopn. 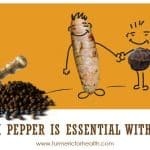 The reason behind giving pepper with Turmeric is that it helps absorb the nutrients in the turmeric. I personally don’t give black pepper to my dogs to do this. I guess what I would ask is. What about black seed oil or cayenne, would these be better? Hi Karen, BP works as it has piperine. I guess both black seed or cayenne do not have it.